Min Min Noodle Bar opposite the Arcadian car park entrance offers something a little different to the rest of Chinatown. And not just in terms of decor which can only be described as funky fresh lime green. The menu noodles its way around Asia. From classic Chinese stir-fried noodles to Japanese soup noodles. Their flavours are always clean, they eschew the heavy sauces and chemical enhancements that is so common with this kind of food. It’s part of their philosophy. 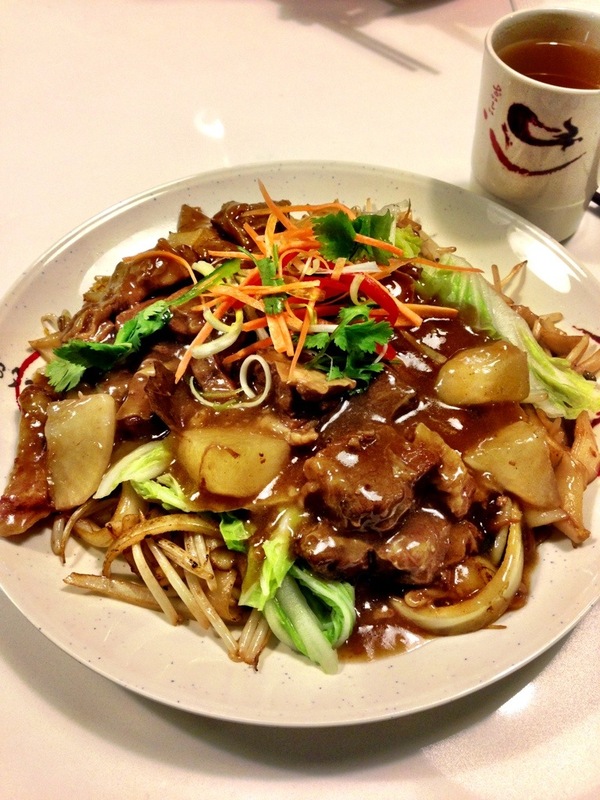 My favourite noodle dish is a Hong Kong classic, beef brisket hor fun (pictured). The appetisers are fun and varied. Vietnamese cheung fun and special skewers are particularly good. They’ve got an evening menu too, dishes more for sharing like soft shell crab, Thai style fried fish and pigs trotters. Some dishes are more successful than others but there’s always something interesting on the menu. I can’t wait till they actually get that ramen machine though. That broth and pork deserve better noodles!